Let's talk about microblading treatment for Binbrook clients and what it is. 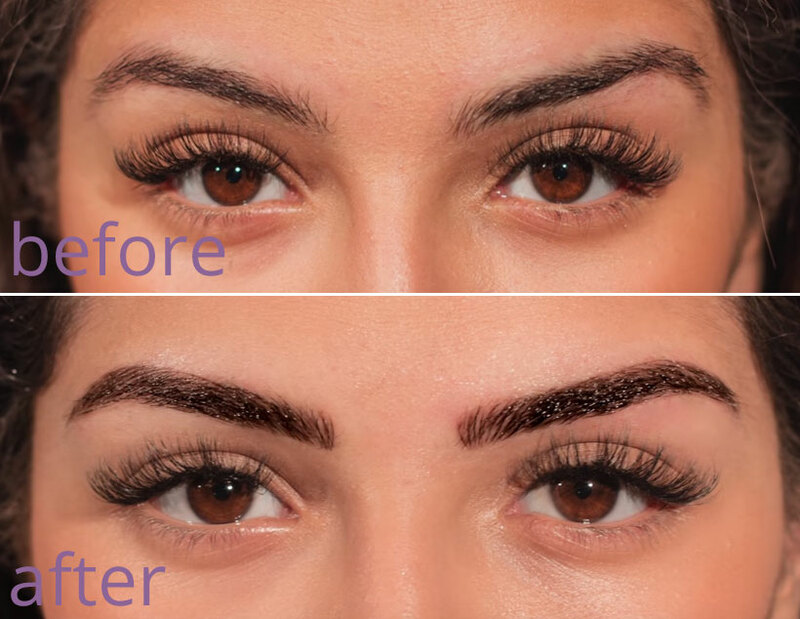 If you are not satisfied with the ones you have, there are so many ways to update them, including brow gel, pencils and even tattooing, BUT now there's a very natural option that delivers semi-permanent results. Unlike the sometimes Sharpie-esque effects of permanent make up, Microblading is more of an embroidery style that mimics real like hairs. To make things simple, Microblading is perfect for those Binbrook clients who want to fully reconstruct, define, cover gaps, fill in over plucked eyebrows, hair loss as a result of Chemotherapy, Alopecia, active lifestyles, correcting asymmetry and/or if you have trouble applying conventional make up. Binbrook clients, Call us at 1-888-332-9930 OR request a consultation online to get more information about Microblading procedure at our Hamilton clinic and get started with one of our Registered Nurses.